To put it simply, life changes dramatically when little ones enter your life. Your body shifts into a new way of sleeping, eating and moving and as new parents, it is also useful to shift our mindset around these changes. Getting active again after having a baby often doesn't look the same as it used to and it doesn't have to! Here are five simple ways to incorporate exercise back into your life, with your little one. And the bonus? These forms of exercise have benefits for baby too - it may even put them to sleep! You've seen people put on backpacks and train for marathons, well you can do the same for your life-with-littles marathon too. 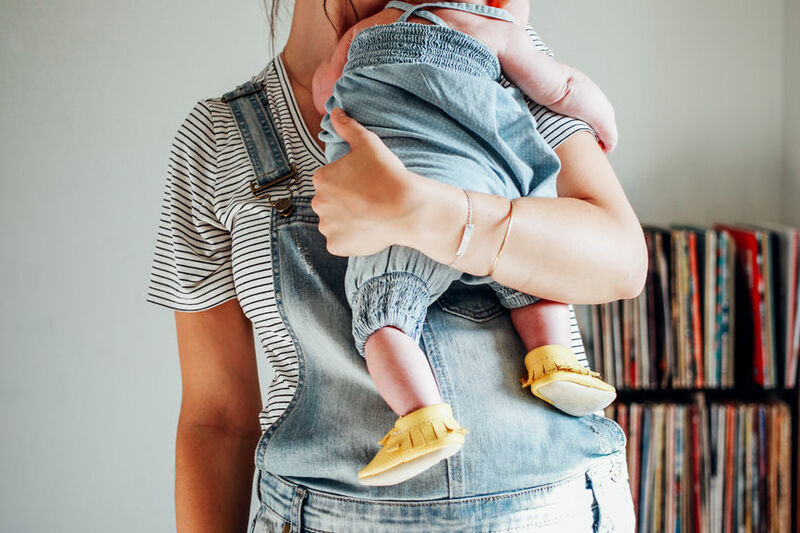 It is a great idea to learn to wear your baby correctly - there are many different kinds of wraps, slings and soft structured carriers out there. Get a babywearing expert to teach you how to pick a great carrier, join a baby wearing group to try several on, or visit a local parenting store that offers this service. Go about your day or go for a walk - you'll be surprised at the amount of extra work your body gets, and there are many bonuses for you and baby when you invest in babywearing. • Push and Pull your stroller. Go for a good walk and switch up how you move your stroller. Try pulling your stroller for a portion of your walk, add varying paces and go up and down hills to really "up" the challenge. You can also integrate your upper body for some strength training by thinking of pushing or pulling the stroller with your trunk rather than just your arms - think of staying "proud" through the front and back of your shoulders and engaging your abdominals when you exhale. Check out this quick tutorial on how to use your breathing to help you engage your abdominals. This one is fun and doesn't even feel like work- put on your favourite playlist and just move! You can wear your baby or use your baby for resistance training. Be sure to switch your hold, so you get a workout on both arms and if you want to lift your baby up and down, make sure they have good head control or are well supported. Group baby and parent classes are also a great option and are readily available in most major cities – check out this one made for dads who babywear! • Bounce and rock your baby. Babies spend nine months (plus!) swaying, bounding and rocking in the womb, so it just makes sense that they would love to continue to be bounced and rocked! Have you got a birthing ball/ stability ball? Sit on the ball and gently bounce - use your legs and do core breathing/kegels to get more out of your movement. If you really want to up the ante, put the stability ball between your back and the wall and do some wall-sits, squats and bounces here! • Laugh, sing, cuddle and (importantly) rest! Life with tiny humans is exhausting even if you're only meeting the basic necessities in a day, so don't negate resting, being present and enjoying your baby. There's evidence to suggest that if an over-tired body does a strenuous workout, the body will release stress hormones which may hinder more than help. Our bodies also really need to release and stretch as well as strengthen- it's all about balance. Plus laugher is really the best medicine and can be a great core workout! Try getting down on the floor with your baby and doing some gentle release movements like Cat & Cow, stretching, or ball/ bolster rolling. Cuddle up with your little one and practice calm breathing or just enjoy a snuggle and a nap! This blog post was written in collaboration with Ruth Ruttan. 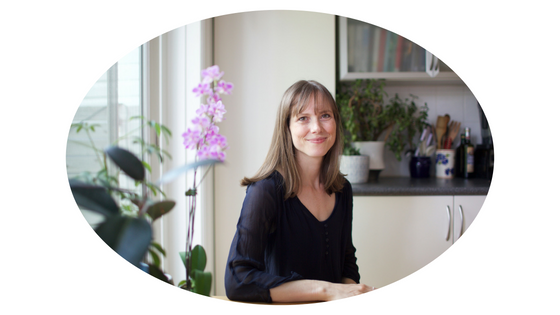 Ruth is a mother of 3 awesome humans, a doula and a specialist in movement for pregnancy, birth and postpartum. Learn more about Ruth here.